The other libraries’ hours and the Student Computer Centre hours are not being extended. Their hours will remain the same as during semester time. 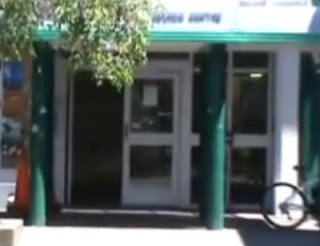 See http://library.unitec.ac.nz/aboutlibrary/hours.htm for our full hours. Come to the main library in B110 at Mt Albert campus and see our fantastic graphic novels aka 'grown-up comics'. You will either find them on display downstairs (see photo below) or upstairs to the right in the Recreational Reading area near the group study area. Search our catalogue for your favourite characters or see this link for all our 'graphic novels' . 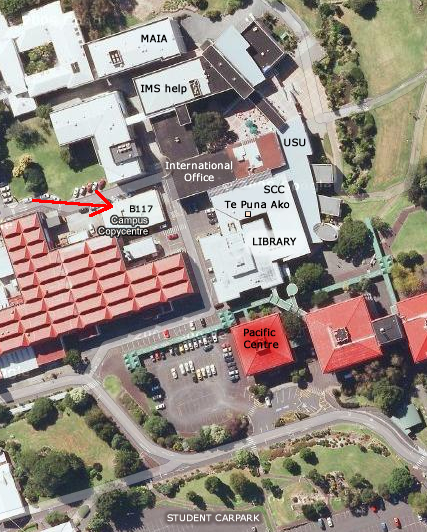 The Copy Centre at Mt Albert Campus B117 (behind The Hub) has extended hours for rest of semester. See below for details. We will post updates about student printing issues to this blog as we get them. Unitec IMS has been working hard to resolve the issues and Konica have informed us that the problem causing the printing issues has been resolved. We will keep you informed if problems reoccur. Unfortunately the student printing systems based in the Library and Student Computer Centre are experiencing performance issues which are preventing student printing on and off throughout the day. This is caused by a network problem that was triggered last week by a power outage. Restarting the servers solves the problem temporarily, but then the problem can reoccur a few minutes later. Unitec IMS are investigating but we have no timeline yet as to when it will be resolved. The Copy Centre which uses a different server and seems to be free of the issues we are experiencing, therefore we are recommending that students use the Copy Centre. See Copy Centre Opening Hours. Next week (22-28 October) is International Open Access Week. For a fuller explanation see Peter’s introduction to Open Access. Traditional journal subscription models are restricting access to research. Students, teachers and researchers need better access to research and Open Access is a viable solution. See this great handout with quotes from people about why they support Open Access and how it can help in many spheres of life. For more information see Peter Suber’s full overview. Sign up at http://www.openaccessweek.org for access to all the support and resources you need, and to connect with the worldwide OA Week community. Plus check out the Open Access Week website for handouts, posters and more ways to get involved. A big thank you to all students and staff who recently completed the Unitec Library survey. There were over 2,000 responses. Library staff will be analysing your feedback with some preliminary results going up on the website before the end of the academic year. We are delighted to announce the winners of the two iPads - Susan, a Nursing student based at Waitakere and Dhruv, a Business student based at Mt Albert. Both were excited to get a phone call from Rosanne van Leeuwen this week and are pictured here receiving their iPads. Again, thank you all for participating in our survey - your feedback will be very valuable. And congratulations to our two winners. Open access? Network enabled research ? Find out what it's all about. Check out the videos and more from the Open Repositories Conference recently held in Edinburgh.